To understand the man is to know the man. 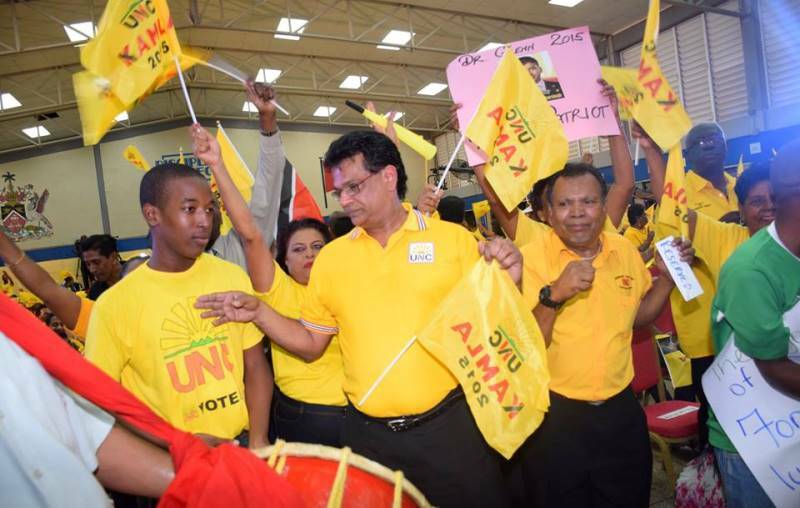 Dr. Fuad Khan, a prominent Urologist by profession, father of three and husband to Dr. Carol Bhagan Khan, has been part of the Barataria/San Juan constituency for many decades. Before entering politics, he ran a successful medical practice in San Juan, administering to the needs of a community that some may have considered impoverished. He stood with the people, provided aid when necessary, free medical care when warranted and was there for his patients in so many ways. As the years went by, he watched as those he attended as babies grow into productive men and women. Always a man of the people, it was only natural than when the call came to serve at another level, at a political level, Fuad said YES! He was and after all these years still is the people’s choice. Fuad’s stewardship as Minister of Health can be considered nothing less than revolutionary. In the area of infrastructural development, Fuad undertook the renovation of 105 health centres, the construction of new health centres in neglected areas, the completion and commissioning of the new Scarborough Hospital, the construction of the San Fernando Teaching Hospital, constructional of the National Oncology Centre, construction of the Children’s Hospital in Couva, construction of a hospital in Penal dedicated to treating Chronic Non Communicable Diseases, renovation of the Mt. Hope Women’s Hospital and the beginning of construction of the Arima and Point Fortin Hospitals. In the area of changing behavioural lifestyles, Fuad initiated the “Fight the Fat Campaign” and the establishment of the Partners Forum Working Committee to deal with CNCDs leading to healthier lifestyles through diet and exercise. The establishment of the External Patient Programme was done to reduce wait times for certain procedures and we also saw the introduction of the National Health Card and a host of other projects aimed at providing the highest quality of health care to all. His performance in the Ministry of Health is much more expansive than what was outlined here, but this brief overview is an indication of the level of commitment to service demonstrated by Dr. Khan as a Minister of Government. Fuad has become a favourite son of Barataria/San Juan simply because he treats everyone equally and with equity, regardless of race, class, age or community you’re from. Development within the constituency has been significant under the watch of Dr. Fuad Khan, where while in government, the constituency saw the construction of the El Socorro South Government School, the El Socorro South Early Childhood Centre, construction of the new Febeau Government Primary School, the Barataria Regional Complex, the paving of roads and construction of box drains all across the constituency, the illumination of almost all the recreation grounds, the laying of 4” and 6” mains to provide adequate water supply to the area and the provision of a variety of social services and assistance with employment and educational opportunities for constituents. In the eletion of 2015, Fuad is offering himself as a candidate for a record sixth time. Undefeated to date, Fuad symbolizes the dynamism and ingenuity of the people who belong to Barataria/San Juan.